What happens when you need to get your car fixed after an accident? Since it’s not something most people think about until after the fact, there are a lot of misconceptions about how repairs are handled. These 7 facts will help demystify collision repair from how your car is assessed to where you can take your car to get it fixed. When your car hits an obstacle, that impact goes through the entire vehicle, bending or breaking body panels, frame components, wheels, interior pieces, and drivetrain parts. For example, it may seem odd that Merton Auto Body does wheel alignments, but it’s a necessary part of collision repair because even a minor fender bender can affect the position of the suspension. A skilled appraiser will be able to identify all the damage caused by a collision and provide an estimate that should be very close to the final repair cost. Get someone who doesn’t know what needs to be fixed, and the estimate may be lower but the appraisal won’t cover everything needed to completely fix the car. Even with an expert eye, some repairs won’t be evident until work has begun. That’s where the appraiser’s skill really comes into play: they have to convince the insurance company that there was a reason the damage was missed the first time, and these new repairs need to be made to make the car roadworthy. A car is considered a “total loss” by the insurance company if the cost of repairs exceeds the value of the vehicle. An almost new car has to be almost irreparable to meet this criteria, while an old luxury car can meet this threshold quickly due to a combination of high parts prices and low resale value. You may have watched as-seen-on-TV devices and Internet videos that claim that with a special tool or some household items, a body panel can simply be popped back into place. In reality, when a body panel is bent, it stays that way, whether that bend was from a press at the factory or from an impact. To remove a dent from a panel, body technicians have to use a range of tools and techniques to gently bend and reshape the metal back to the shape it should be. In the old days, if you wanted to know if a car had been in a wreck, you’d run a magnet over it to find which parts were still metal and which parts had been covered in body filler to hide dents. This isn’t always accurate, though. Some vehicles actually come from the factory with filler in them to hide minor inconsistencies after the metal is shaped. Advancements in body repair techniques and tools allow metal to be reshaped to remove almost any dent, reducing the need to turn to fillers to make a repair. Automotive paint can flex with body panels to a degree before it separates. If the damage was small enough that the paint is sill bonded, dents can usually be taken out without having to respray the panel. Although this is unlikely at the point of impact, surrounding metal may be fixable without needing new paint, making it virtually impossible to identify the repair after it’s finished. Manufacturers work directly with body shops and through associations like I-CAR to ensure technicians can bring vehicles back to their original specifications. When these repairs are done correctly, the vehicle has the same function, structural integrity and appearance as a vehicle that has not been involved in a collision. Your insurance provider may suggest a shop to take your vehicle to, but they can’t make you go there to for the repair to be compensated. When you have work done, it’s in your best interest to find a shop that has the knowledge and tools to do the repair right, not the one that will save the insurance company the most money. 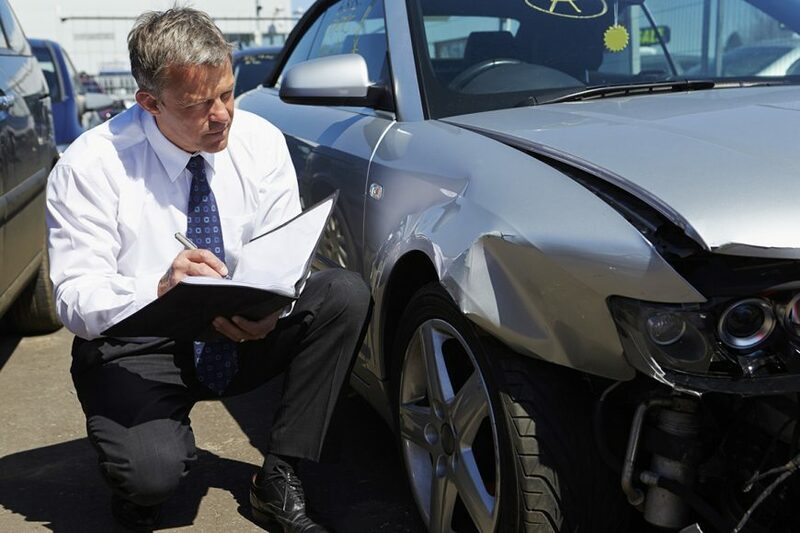 If you want quality work when you have collision damage repaired, go to Merton Auto Body. Our technicians are ASE certified, and our shop is I-CAR Gold Class Certified. That means our staff has the experience and the latest training to fix your car right the first time. We even have an appraiser on staff to get your car assessed and work approved by the insurance company so you can be back on the road as soon as possible!